PC Heating & Plumbing Services is led by Pat Cleary, a fully certified G1, G2 and G3 Bord Gais installer and registered central heating contractor with over 25 years experience in domestic central heating installations. 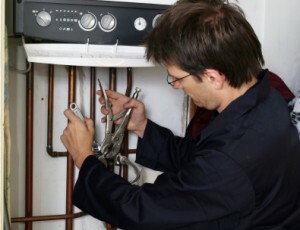 Having worked for a number of leading central heating contractors as a registered central heating engineer over the years, Pat established PC Heating & Plumbing Services in 1995, recognising the need for a competitive and response-driven heating and plumbing service for customers in the Meath and greater Dublin areas. Based in Ashbourne, Pat has been serving the town and surrounding areas for almost 20 years now and is one of the most established and well respected service providers in the area. Pat is a registered central heating engineer with RGII, SEAI and APHCI credentials. From gas boiler replacements to gas boiler repairs, oil/back boiler installations and general plumbing, talk to a reliable heating engineer with a strong track record of serving families in Ashbourne, Ratoath, Dunboyne, Dunshaughlin and Navan.